The more important thing is to use it carefully. Pure drinking water usually is too valuable to use for just the washing of vehicles. 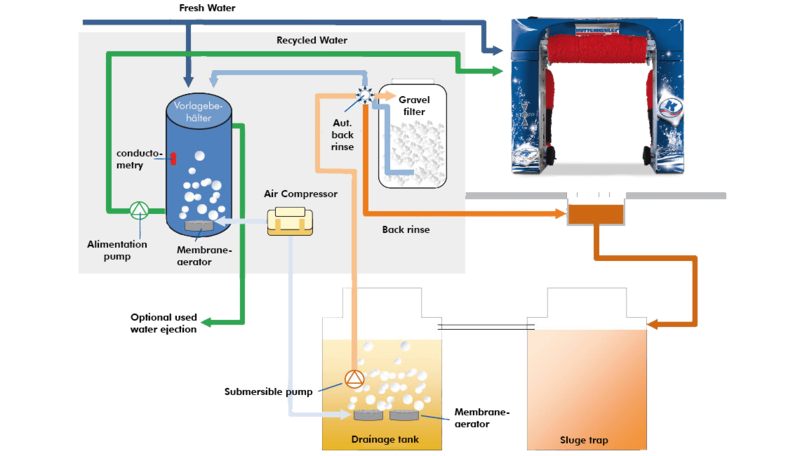 Therefore it is reasonable to recycle the required washing water in a circulation system. In addition to environmental aspects, legal rules and economic factors, such as the cost of drinking and waste water, also play a role in this decision. FONTIS water recycling systems are specially developed for the use with washing bays. In a compact form they combine the complete technique including washing water storage tank, quartz gravel filter and booster pump. Optional feature: chemical pre-treatment process (Flocculation). 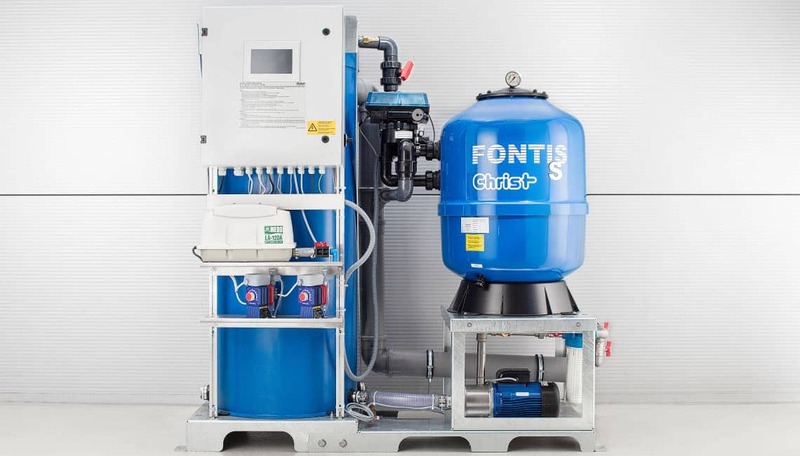 FONTIS-S is specially designed for roll-over wash units and is in accordance with the general building inspection approval from Deutsches Instituts für Bautechnik (DIBt Berlin) (German Institute of Building Techniques).